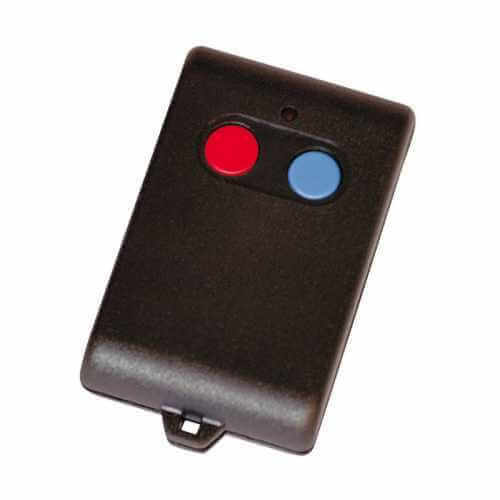 The Cebek TL-301 is a 25m range, 2-channel (two button) key fob style 433.92MHz RF transmitter for Cebek Group 3 remote control receivers. The receiver memory is FIFO. Once you have programmed 5 transmitters, the next transmitter programmed will be placed in the memory slot used by the first one. The following one will substitute the memory originally allocated to the second and so on.